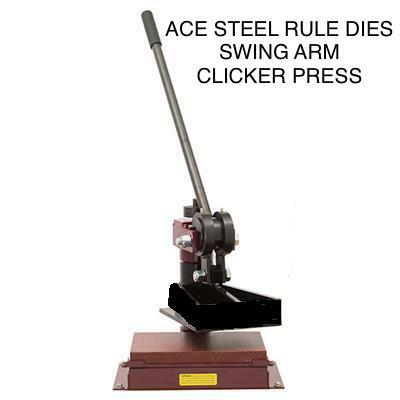 America's Premier Manual Clicker Press Source Press Since 1960. Simply pull the arm to cut your parts instantly. Head swings 360 degrees for full access and viewing of your die and material. Can cut any die height from 3/4" up to 1 1/4" high. Virtually maintenance free! Heavy Duty design. Professional results with zero setup. Proudly Serving The World Since 1960.